NGF Europe Limited is a subsidiary company of the NSG Group, one of the World’s leading manufacturers of glass products for building, automotive and information electronics applications. We are the market leader and at the forefront of the manufacture and marketing of Glass Cord products. Glass Cord is used mainly in the automotive industry for the reinforcement of synchronous drive belts. 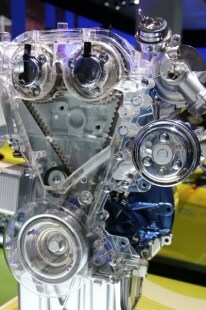 The best example of a synchronous drive belt is the motor car timing belt that is used in the engine to operate the overhead camshaft system. Our history dates back to St Helens in the 1960’s when R+D personnel at Pilkington began to examine the possible uses of glass fibres in elastomers. From this grew the Pilkington Reinforcements division and in 1991 NGF Europe was formed when the purpose built site was sold to Nippon Sheet Glass. In 2006 NSG purchased Pilkington. The site in the Lea Green area of St Helens operates a 24 hour; 7 days a week process and is in easy reach of the region’s major motorway network and international airports. We supply Glass Cord to timing belt manufacturers worldwide, in all the major car-manufacturing countries. 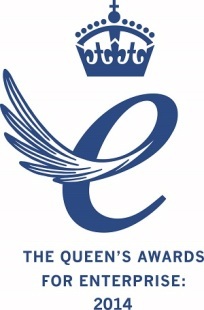 In 2014, NGF Europe was awarded with The Queen’s Award for Enterprise in Innovation in recognition of the design and manufacture of small filament diameter glass cords which are changing the way automotive engineers design vehicles. NGF Europe is also a previous recipient of Queen’s Award for Enterprise: International Trade 2001. At the beginning of September we announced an investment of £4 million, with the creation of 24 new jobs. The site will become the first fully-integrated high tensile strength glass cord manufacturing factory in Europe and the only such facility outside Japan. The investment, which has been made possible by a £500,000 Advanced Manufacturing Supply Chain Initiative grant (part of the UK Government Regional Growth Fund ), will add a fibre-forming facility at the site, an important primary process in glass cord manufacture, involving the production of glass fibre filament. The growth in the market for high tensile strength glass cord created by the ever-increasing technological developments in the automotive market has led to the decision to invest in a facility which will manufacture the filament from raw materials. The investment confirms our commitment to our customers in Europe and will ensure that our business remains at the forefront of technological development and is able to respond to customer demands and expectations.